BOOKINGS; Must be paid for in full 7 working days prior to course commencement. CANCELLATION; If we cancel or change your course due to weather conditions, mechanical failure or for other reasons beyond our control, we will rebook or provide you with a full refund, we will not, however, reimburse travel, accommodation or other incidental expenses or consequential issues incurred by you. If we cancel due to lack of student numbers, we will give you 48 hours notice and either rebook or provide you with a full refund, we will not, however, reimburse travel, accommodation or other incidental expenses or consequential issues incurred by you. If you cancel your course, we will happily arrange a full refund so long as you contact us 48 hours before course commencement. If you cancel with less than 48 hours notice prior to course commencement we reserve the right to charge you a booking fee of 10% of the course cost. Refunds will be in the same form as the original payment to the purchaser and no interest will be paid on the amount to be refunded. COMMAND; When a Oceanic Sea School skipper or instructor is in charge of any course either on shore or afloat, his decision shall be binding. If a student /client disagree, then the skipper/ instructor may take whatever action he may reasonably feel suitable with regard to the safety and best interest of the vessel and crew. If this includes putting any persons ashore before the end of the course, then Oceanic Sea School shall not be in any way responsible for any resulting expenses or inconvenience incurred by the student / client. 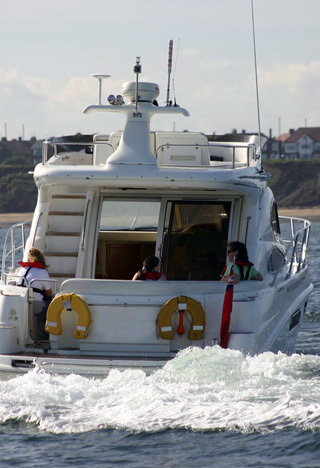 OWN VESSEL TUITION / DELIVERIES; The instructor reserves the right not to carry out instructing on or deliver a vessel that he considers not to be adequately equipped or not up to the required safety standard. 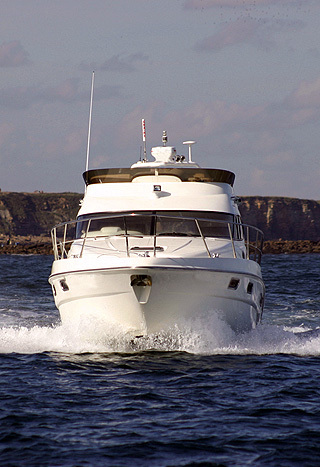 WEATHER CONDITIONS; If the instructor considers the weather conditions such that it be unsafe to put to sea, then the vessel will remain in a safe haven with alternative instruction taking place. 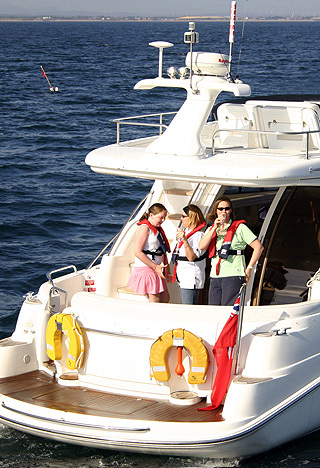 STUDENT LIABILITY; Students are liable for any damage, breakages or loss up to a maximum of £200 to the vessel or its equipment. MEDICAL; All medical conditions which may adversely affect the ability to participate in the course must be declared when booking the course. Oceanic Sea School must be immediately informed of any conditions developing after completion of the booking form and Oceanic Sea School has the discretion not to accept bookings if there is considered to be an unacceptable risk to the client, or to the safety of the vessel and crew. HYGIENE /CLEANING; Clients undertake to keep the vessel in a clean and tidy condition and have due regard to maintaining adequate hygiene standards with regard to all foodstuffs. The vessel is to be left in a clean and tidy condition at the end of the course.